In the sacred rock of Acropolis, stands the temple of Parthenon build for the goddess Athena, as a symbol of prosperity, glory and prestige of the democratic Athenian state, the 5th century BC. The temple, in harmony with the natural environment, was built entirely of white Pentelic marble and brought rich ornamentations in red, blue and gold colors. As a monument of artistic excellence and of world cultural heritage, the Parthenon embodies the european culture. 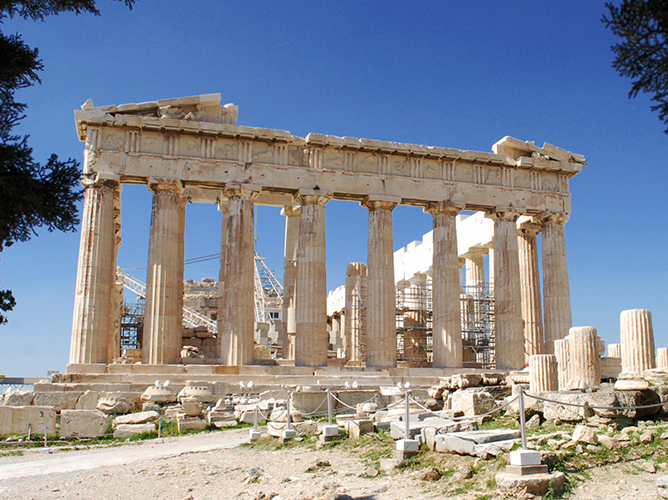 At the Acropolis you will also visit the Propylaea, the temple of Apterou Nikis and the Erechtheion. 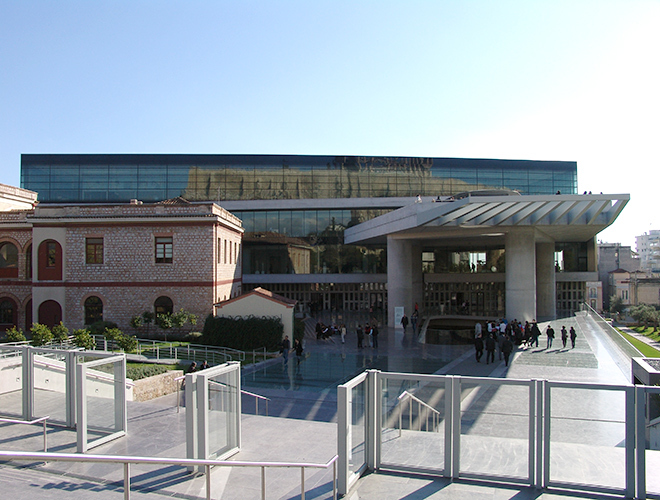 One of the most important museums in the world, the Acropolis museum collects masterpieces of the Archaic and Classical periods associated with the sacred rock of the Acropolis. The exhibitions that it hosts, permanent and thematic, cover 14,000 square meters on four levels. Glass floor that reveals the findings of the excavations and large glass surfaces on the walls that allows for a panoramic view of the Acropolis and the Parthenon.. for more information, opening hours and ticket prices you can visit & the link of the museum www.theacropolismuseum.gr. A walk through the picturesque cobbled streets is like a walk in a Greek "island". 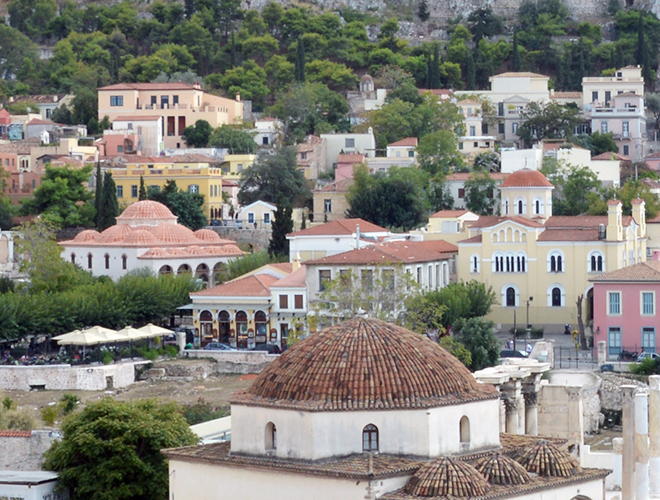 Neoclassical preserved buildings, tourist shops to buy a small souvenir, shops with local Greek products and nice jewellery and if you get tired get on Happy Athens Train or sit at one of the many taverns with traditional dishes worth trying. This walk will cheer you up and don't forget to take lots of pictures. Monastiraki is one of the most beautiful neighbourhoods of Athens. Paved with shops and antique shops where you bargain for the price, street vendors, scents and flavors that you can taste in taverns , cafes and bars, the sun, the people, the sounds, and multiculturalism; Monastiraki is a unique and memorable experience! The nightlife will also reward you since there are a lot of "modern" bars around the Monastiraki area... St. Irini's Square, Perikleus, every alley has a bar with a unique style and special kinds of music! Lycabetus Hill, another sightseeing treasure that you must visit in Athens! 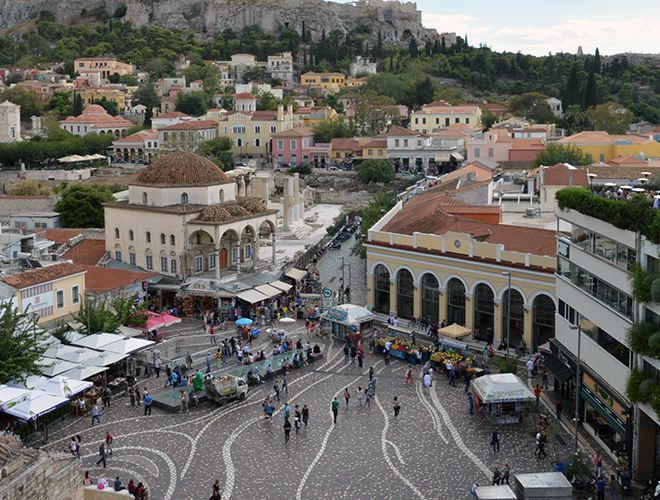 Athens has a couple of vantage points besides the Acropolis, from which you can get superb views of the city. 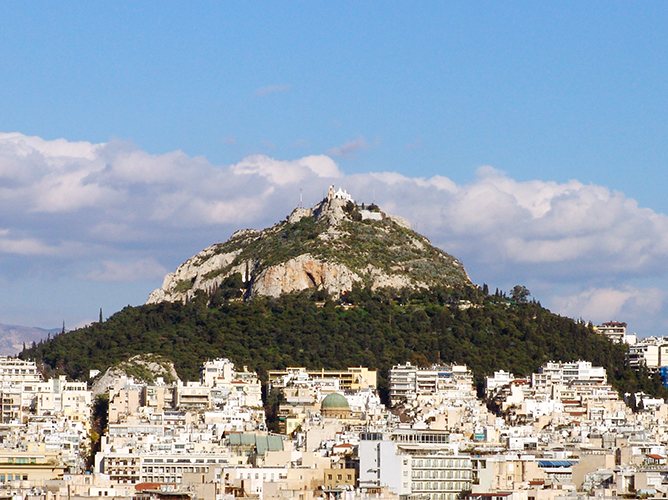 Lycabettus Hill is really a limestone rock reaching almost 1,000 feet into the once-crystalline Athenian sky. In the evening, the top half is floodlit, and from the Acropolis it looks something like a giant souffle. By day, it’s a green-and-white hill toppoed by a tiny, flaringly white church, Aghios Georgios. It’s a nagging challenge, and sooner or later you’re to want to climb it. Don’ t try to walk up, and don’t try to take a cab, because it only goes half-way and you still have quite a hike to get to the top.